Collegiate cycling lost its most prolific champion Wednesday when Carla Swart (HTC-HighRoad) was killed while training in her native South Africa. According to reports, Swart was struck by a truck while riding in the Free State Province and died soon after. Swart, 23, won 19 national collegiate titles for Lees-McRae College in all four disciplines: road, mountain cyclocross and track. She was poised to join Bob Stapleton’s program and last month took part in the team’s first training camp in Morgan Hill, California. 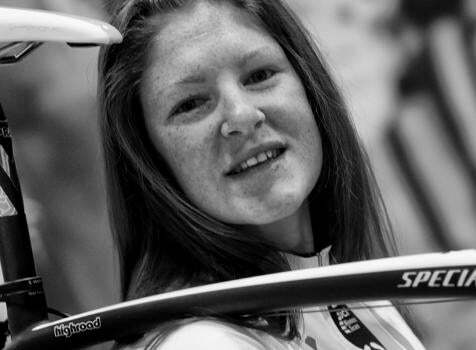 Swart, who came eighth in a 112-kilometer road race at the Commonwealth Games last year, lost her cycling computer while riding and turned into the path of an oncoming truck in a bid to retrieve it, Cycling South Africa team manager Barry Austin told the Sapa news agency. Fellow HTC recruit Amanda Miller first met Swart at the 2007 collegiate mountain bike national championships and remembered her friend, who showed up to that event with platform pedals and tennis shoes. BMC Racing’s Brent Bookwalter was Swart’s teammate at Lees-McRae.